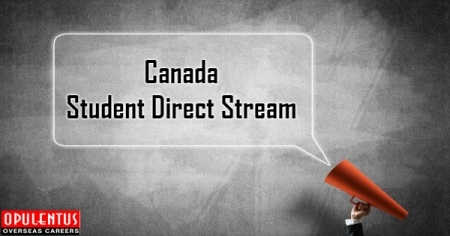 International students from a few Asian countries can avail a fast processing of study permit in the new Student Direct Stream. The immigration department says that the new stream will meet the demands of applicants from India, China, the Philippines and Vietnam. Moreover, in future it is likely to include the applicants from Senegal and Kenya. Candidates need to show the financial resources and possess adequate language skills to succeed in education to qualify in the stream. In this stream candidates must show modest language skills, and also pay their first year of tuition fees. Furthermore, they have to purchase a $10,000 Investment Certificate. Getting a Qualifying score of 6 for English in IELTS or of 7 for French in TEF. Besides they need to graduate from high school having a Canadian curriculum. In case this pilot program is successful, it will include applications from residents of Kenya and Senegal. This has the aim of increasing immigration of French speakers. Better language skills are a major part of the Exress Entry System. Moreover, the students who qualify for S.D.S. are put in a strong position to achieve PR after graduation. Ahmed Hussen Immigration Minister stated that IRCC recognizes the wonderful benefits in the cultural, economic and social spheres, which global students bring to Canada. Additionally, there is a commitment to improve client service covering all applicants, and they are taking new and efficient measures in reducing processing times. Canada has a target to attract foreign students. They are important and new permanent residents, with their age, education, life experience and proficiency in language. I.R.C.C. changed the Canada Express Entry system in Nov 2016 to attach more points for global graduates from Canadian universities. International graduates can also access the Post Graduation Work Permit, which permits them to work after graduation. The work experience can be used in strengthening the permanent residence application.